Hugh Wilkinson advises clients on corporate and securities matters, corporate governance practices, executive compensation and bank regulatory compliance issues. Mr. Wilkinson has been providing counsel to financial institutions and their holding companies located throughout the United States for more than 25 years. Mr. Wilkinson’s areas of expertise are general corporate financings, mergers and acquisitions, securities law compliance and shareholder relations matters. Immediately following law school, Mr. Wilkinson served as a clerk for one year to Judge John Hess of the Superior Court of the District of Columbia. In 1982, he joined the staff of the U.S. Securities and Exchange Commission. 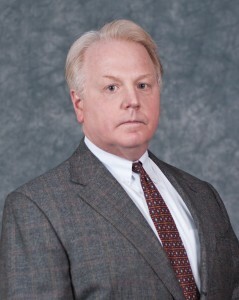 Mr. Wilkinson served for one year in the Division of Market Regulation and two and one-half years in the Division of Corporation Finance, including one year in the Office of Small Business Policy. Represented Home Bancorp, Inc., Lafayette, Louisiana, in its $34.5 million cash acquisition of Britton & Koontz Capital Corporation, Natchez, Mississippi. Represented Franklin Security Bancorp, Wilkes-Barre, Pennsylvania, in its acquisition by ESSA Bancorp, Inc., Stroudsburg, Pennsylvania. Represented Malvern Bancorp, Inc., Paoli, Pennsylvania, in its conversion from a mutual holding company to stock holding company and related $36.4 million common stock offering. Represented the underwriters in the conversion of a mutual holding company to a stock holding company and related $2.2 billion common stock issuance in a subscription offering and firm commitment underwritten public offering with RBC Capital Markets, Keefe, Bruyette & Woods, a Stifel Company, and Sandler O’Neill & Partners, L.P. serving as joint book-running managers. Represented Abington Bancorp, Inc., Jenkintown, Pennsylvania, in its $273.8 million stock acquisition by Susquehana Bancshares, Inc., Lititz, Pennsylvania. Represented Staten Island Bancorp, Inc., Staten, Island, New York in its $1.5 billion cash and stock acquisition by Independence Community Bank Corp., Brooklyn, New York, and substantially concurrent disposition of SIB Mortgage Corporation, a mortgage banking subsidiary which had more than $13.0 billion in mortgage loans originated by a network of more than 75 offices throughout the United States.